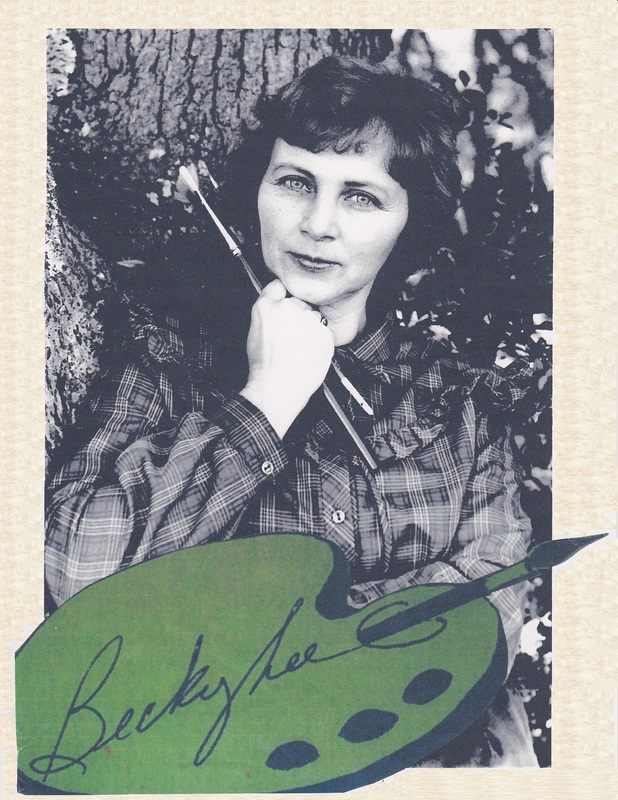 Becky Lee is a South Carolina Lowcountry artist from Walterboro, S.C. She has had some private art lessons, but she is primarily a self-taught artist. Art education was not part of the public school system, but I had a fifth grade teacher who was an artist, Miss Belle Saunders. Under her guidance, I did my very first paintings. I had no formal training as an artist until my late husband, Hugh Lee, gave me private art lessons in 1972. I studied under Diddy Anderson, a Charleston artist. I started painting in oils, but quickly switched to acrylics for practical reasons. I had a small house and small children. Oil paintings take weeks to dry. I was heart broken when my two year old made a “finger painting” of an oil painting I had left to dry. Acrylics dry fast. It was easy to switch when I was in a learning process of handing a medium to begin with. After teaching me some basic rules and some mechanics of handling paint, Diddy Anderson encouraged me not to study any longer, but to just develop my own style. “My work is a reflection of the lifestyle and landscapes I'd grown up with in the South Carolina low country. Many of my paintings are narrative works that begin with a childhood memory. Over the years I've sold my work to those who relate to and have similar memories. “I've lived on the water near the coast. I love to paint the marshlands, the trees, and the coastal birds. Occasionally I throw in an alligator.” I spent a decade developing the discipline of my work, painting every morning for at least two hours. The last gift my husband gave me before he died in 1982, was the rustic farmhouse that became my studio/gallery, Becky Lee's Lily Pad in Green Pond, S.C. However, the reality of being a widow with college aged children would take me away from my art work to other places and careers.